Emerald Media - BT ON TOUR: Tewolde Gebremariam, CEO of Ethiopian Airlines. 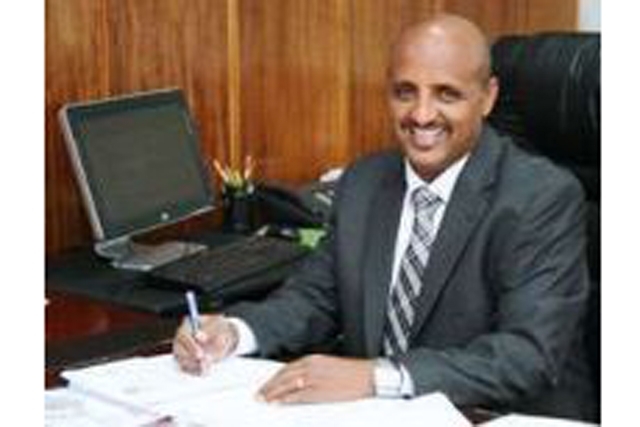 BT ON TOUR: Tewolde Gebremariam, CEO of Ethiopian Airlines. As reported in last week's issue the recent speech by Ethiopian Airlines' CEO, Tewolde Gebremariam, at the Aviation Club was much appreciated. Alison Chambers has been busy scribbling down the 2,500 word delivery and if you have the time it is a very worthwhile read. In fact Mr Gebremariam delivered much of it "off the cuff" as he had planned a PowerPoint presentation. Normally addressed as Mr Tewolde, he earned a BA in Economics from Addis Ababa University and a Masters in Business Administration (MBA) from the Open University in the United Kingdom. He is the first speaker from Africa to speak at the Aviation Club and offered impeccable English which he described as the world's most important language. In his speech he introduced the airline, spoke of the continent's mega cities, mentioned Boeing and Airbus and the 787, criticised European Governments, and described the airline's Vision 2025 plan. Ethiopian Airlines is 68 years young, serving the continent of Africa and the rest of the world. In the beginning our mission was to bring Africa together and closer to the world. We have been working on that and today we connect the continent of Africa with five continents. The only continent we don't serve is Australia, but that is also on our radar. The new Spirit of Africa means Africa is changing. It is not the old Africa that was known by the mainstream media of the world. It is today the destination of direct foreign investment. I am not sure if Europe is catching up in investing in Africa, but the Eastern world especially China and India have all been focusing on Africa. The new spirit of Africa came up to tell the rest of the world that the continent is changing. With the millennium development goals, sustained peace and better governments in the last couple of decades, the continent is much, much better than it used to be. Let us look at how the world has evolved and how it is going forward. With the fall of the Berlin Wall in 1989, Microsoft's invention of Windows in 1985 and a couple of other global platforms - like the credit card, a common payment/business transaction used all over the world and the English language - all have propelled globalization and brought us to this level. The world has seen unprecedented growth. I understand that there are people who believe in globalization and those who are also sceptical about it. It is has however, brought one billion people out of poverty all over the world. Globalization has helped the world I believe. Going forward, we see the world continuing with globalization. North America, Europe and Japan are big consumer economies, a source of high tech innovation, talent and intellectual properties, source of investable capital, and of course a low rate of growth as they are matured markets. We see Asia, Africa and South America as the low cost production factory floor of the world, with a higher rate of growth, expanding consumer base and improving disposable incomes. But in both economies - in the developed world and the emerging economies - we see tremendous social economic reforms in the developed world and economic rebalancing initiatives in the developing world - both of them are challenging. As a result of this we see that economic cycles are being shortened and economic turbulence is increasing. But beyond the current crisis, we see more and more people will come out of poverty and there is a very bright future for global economic developments. China, India, Brazil and Africa are trying to rebalance their economies between consumption and investment, saving and export-oriented development there will be a lot of turbulence, events and developments that will continue to shorten the economic cycles. When we compare the GDP of the G7 (US, Japan, Germany, UK, France, Italy and Canada) with that of the E7 emerging economies (China, India, Brazil, Russia, Indonesia, Mexico and Turkey) we see US$29.0 trillion GDP versus US$20.9 trillion, respectively, in 2009. However, in 2050 the G7 will account for US$69.3 trillion GDP and the E7 US$138.2 trillion GDP - demonstrating that the global economic centre of gravity is shifting east and south. By 2030 and 2050 the six largest economies will be China, US, India, Brazil, Japan and Russia - in that order. Africa is rising and the 21st Century is an African century. Africa is a huge continent of land mass. Africa is greater than China, US, Mexico, West and East Europe, India and so on - together. By 2030 50% of Africans will live in the cities. It is the second fastest growing continent next to Asia and 60% of uncultivated arable land of the world is located in Africa. Untapped natural resources are attracting foreign direct investment from India and China - 42 % per of world gold is located in Africa, 20% of global oil reserves, 90% almost all of global diamonds. These natural resources, particularly oil, the Chinese have realized early on that access to energy means a lot and therefore they are working in Africa for strategic access to energy, especially oil. The Ethiopian economy is also growing. It is a country of 93 million young people. In the last decade it has shown double digit GDP growth. And is the third fastest growing economy in the world today and with a philosophy of state capitalism, the government is investing a huge amount of money in infrastructure development. When we come to aviation Africa will have eight mega cities by 2031. Mega cities are very important for our aviation development. As we all know, the current economics in the airline industry are unsustainable. The airlines are suffering because the economic model is not sustainable. If you look at the supply side - it is all monopoly, duopoly or oligopoly. There are only two manufacturers (on the wide-bodied side). Although there is competition between just the two of them - look at what the airlines face. The most important cost components - fuel for instance - there are two or three (companies), catering is the same, airports the same, and so on. But on the demand side it is a highly competitive industry. The consumer is supported with transparency because of the internet and there is also the travel agency as the middle man is very strong, so the airlines have very weak negotiating power on the supply side and on the demand side. As a result of this they cannot control their costs and they cannot control their prices and the yield so they have been suffering. It is a highly capital and labour intensive business and the capital proportion and fixed cost proposition of the total cost is very high and that forces airlines to increase asset utilization and especially daily aircraft utilization. That means that in order to achieve a certain level of aircraft utilization by day airlines have to fly sometimes below costs. Economics of scale and scope and density is very important in the airline industry. An airline product is perishable. Once a flight takes off seats are perishable and airlines do whatever it takes to sell their seats at whatever available prices. As a result of this the airline industry has been losing money for many, many years. Fortunately, for all of us in Africa - a high growth region - we have been doing very well. Ethiopian Airlines has always been profitable and for the last few years we have seen unprecedented growth and a remarkable profitability. When we see the world in our map and if one draws a straight line from China, India, passing through Addis and on to Brazil we are located right in middle of that line and this is a region which is growing very fast - the fastest growing in the world today - so we are we are well placed for growth if we do the right things at the right time and we have tested that in the last 10 years. With the Boeing 787, a brand new highly technologically advanced aircraft (it performs less out of Addis because of the altitude - Addis Ababa is at 7,700 ft. above sea level) - so we take a 10 hour flight radius from Addis - north, south, east and west - and in that 10 hours we have more than 5.8 billion people located in a high growth region. The catchment area for 10 hours is a huge market. Today the airline is carrying 5.6 million passengers annually. We have a fleet of 63 aircraft with an average age of seven years. Our main hub is in Addis, our second in Togo, West Africa and a third in Malawi where we are starting a new airline. We just started a new partnership with the Malawi Government - just a week ago. (It will fly with Bombardier Q400 and B737 aircraft). The fourth hub will be formed in the DRC for Central Africa, 8,000 employees. It will be 100% government-owned. Although 100% owned by government, successive Ethiopian Governments starting from Emperor time (including communist and the current democratic government today) have all allowed the airline to be managed by professional aviation experts. In the corporate governance structure management and ownership is completely different and that is one reason for success. The airline also believes in investing in adequate human resources and infrastructure development investment. We have 1,030 weekly flights, we are a full Star Alliance member and our annual turnover is about US$2.2 billion. In the last seven years the airline has grown seven-fold and all this growth consumes a lot of investment and it may not be profitable, but for an airline like us, unless we finance the growth internally and in order to do that we have no support or capital injection we have to raise capital from the capital market in terms of loans and in order to get credit we have to be credit worthy. We have to be profitable. Last year capacity grew by 15%, the number of passengers carried grew up 13%, revenue by 50% and operating profit grew by 165%. On the challenge side we have tremendous competition coming from the Gulf carriers. Dubai is only three and half hours away from Addis, Abu Dhabi and Doha the same. They have been doing very well and now Africa is also in their centre of strategy. We see the centre of gravity moving from Europe to the Middle East and especially the Gulf. Europe has been the oldest and most successful for hub and spoke operations with airports like Heathrow, Frankfurt, Amsterdam and Paris. For passengers travelling from south and north America to Europe, Africa and Middle East and Asia the only way was through Europe, but now that hub and spoke is moving to the Middle East and unfortunately and inadvertently European governments and politicians are helping them move the centre of gravity to the hubs in the Middle East by making it very difficult for airlines to operate in Europe. Taxation is one factor, airport congestion is another. As a result airlines are finding it very difficult to fly to Europe. Heathrow is one of the most congested airports. Ethiopian wants to fly to Heathrow twice a day, but we are only able to fly six flights a week. We can't even get a daily service. A third runway at Heathrow has been discussed for years yet Dubai was able to build Dubai World Central Airport with six runways in short order. Frankfurt Airport has put a policeman in the ATC tower to ensure no flight leaves after 10 or 11 o'clock at night, emission trading is another problem for all of us. Labour unions are very difficult for European carriers and they also have to compete with the Gulf carriers and small African carriers like us also. The tax regime in the Gulf is different - no tax at all - but knowing this again, there is no remedy for small carriers in Africa and also Europe, so inadvertently Europe is helping the Middle East carriers. The Gulf countries are treating aviation as a strategic national asset. The contribution of aviation to social economic development is recognized and it is the pride of governments, but other governments even in Africa are not recognizing this unfortunately. We are growing very fast but we have a serious challenge when considering that 80% of traffic between Africa and the rest of the world is controlled by non-African carriers - All of us - Kenya Airways, Ethiopian, South African, Egyptair, Air Morocco, TAG Angola, CAM Air, Rwandair, Arik Air and so on - put together - we only have 20% of the market. This is a big, big challenge if we don't do something to at least maintain 50% of the market. Otherwise we are going to be swallowed and they are going to have us for their lunch. Our strategic Vision 2010 over the last seven years has helped us grow seven fold. In the new Vision 2025 we believe this fast, profitable and sustainable growth will continue. Under 2025, Ethiopian Airlines is establishing itself as an aviation group with seven business units - international airline, regional airline, cargo, MRO, aviation academy, catering services and ground services. Collectively, by 2025 these units should be generating about US$10 billion in revenues, up from US$2.2 billion today and generating an operating profit of US$1 billion, serving more than 100 international and 26 domestic routes with a fleet of 140 aircraft. We will carry 18 million passengers and 820,000 tons of cargo. We are today already the largest cargo carrier in the continent (serving 24 destinations with six dedicated freight aircraft). The strategy today is to continue to deliver fast, profitable and sustainable growth. Cost leadership is our main strategy. By this we mean we are not going to be a low cost carrier, but we will provide high global standards and features at the lowest possible unit cost. We will be a four star airline with five star service delivery and we will expand our hub system in Africa - with four hubs - and we will focus on four pillars of our Vision 2025. The first pillar is the fleet, (fleet commonality and getting the composition and structure right - this is a very important success factor for any airline). Boeing 737 narrow-body and short-range aircraft, long range medium capacity is the 787 (where we were launch customer in Africa) and the ultra-long range and large capacity is the 777 and the A350. We have 14 Airbus A350s on order and 10 777s in service. The second pillar is infrastructure. In Addis we have our own cargo terminal and aviation academy - currently we train 1,000 students per year and the aim is to expand that to 4,000 per year - pilots, technicians, cabin crew, etc. The catering facilities are also our own. The passenger terminal is owned by sister company, Ethiopian Airports Enterprise. The third is human resources development. Right from our inception self-sufficiency and investment in human resources has been a critical component for success so we have expanded our academy to ensure that quality and quantity is available to support our growth at all times. The fourth pillar is best systems - best practices, procedures, bringing all the pillars together. It looks ambitious but three years into it we have already exceeded our parameters in terms of revenue, fleet and destinations and we are exceeding all our annual goals. We are going to continue with Vision 2025.